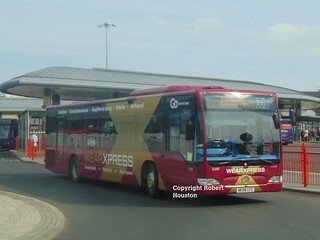 Following changes to Nexus Miscellaneous Works and scholars contracts, which has seen Go North East being awarded with over 70 of the available contracts, this vehicle has transferred from Chester-le-Street Depot to Washington. 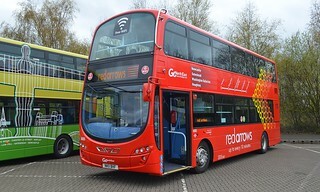 It has been allocated to Washington to operate the newly awarded contracts at Washington and to also act as a spare vehicle for "Red Arrows" services X1 and 921, like the similar examples (3941 - 3943) already allocated to the depot. 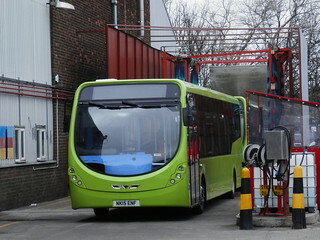 Following temporary loan to Crook Depot, this vehicle has now returned to service at Chester-le-Street Depot. 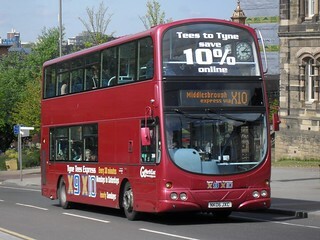 Following temporary loan to Crook Depot, this vehicle has returned to service at Chester-le-Street. 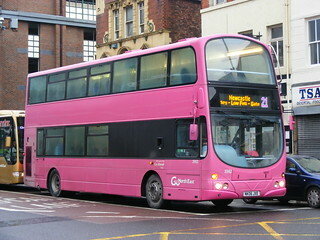 Following temporary transfer to Crook Depot, this vehicle has now returned to service at Chester-le-Street. 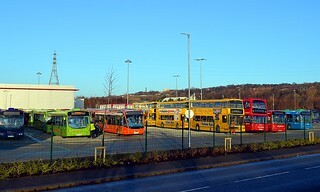 Following the cascade and repainting of the former "Tyne Tees Xpress" branded Wright Eclipse Gemini 2 bodied Volvo B9TLs onto the "Tyne Valley Ten" group of services; this vehicle, which previously formed part of the PVR of these services to accommodate service changes, has now transferred to Chester-le-Street Depot. 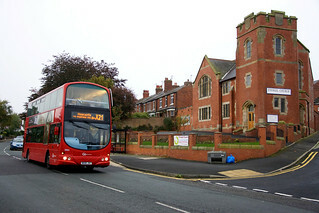 At Chester-le-Street; this vehicle should act as a dedicated spare vehicle for "Angel" service 21, and will replace a Scania N94UD/East Lancs OmniDekka currently serving this purpose at the depot. 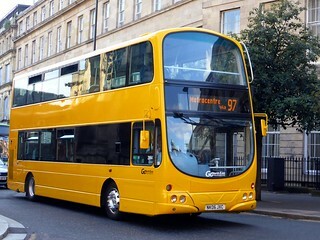 Following a period of use in Glasgow to provide transport on behalf of First Group for the Commonwealth Games 2014, this vehicle has now returned to Go North East. 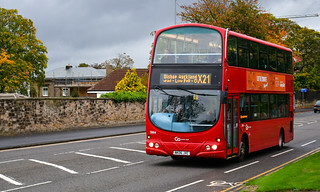 First Group approached a number of bus operators up and down the United Kingdom to provide transport for them during the Commonwealth Games which are being held in Glasgow this year. 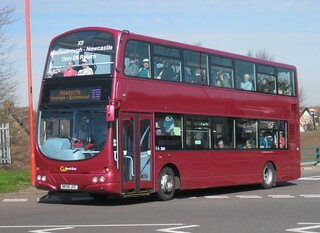 Go North East has provided a total of 21 vehicles for the duration of the event, with this vehicle being just one. 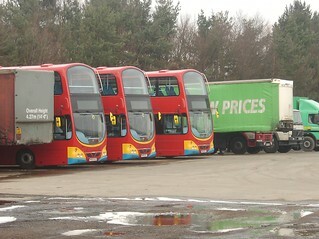 They are being held overnight at First Glasgow's depot on Tollcross Road, Parkhead. 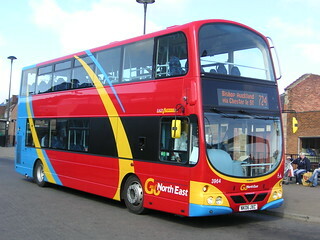 This vehicle has been repainted into Go North East's corporate livery. 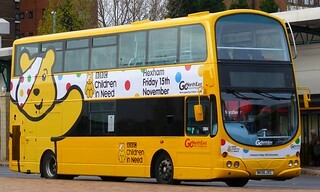 As a sponsor for the event, Go North East has branded this vehicle for Hexham's BBC Children in Need appeal. 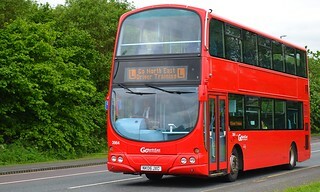 This vehicle has had its vinyls for Real Radio removed, and is expected to receive another promotional livery imminently. 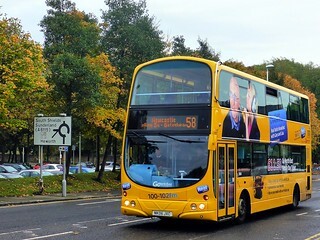 This vehicle has gained further vinyls to complete the promotional livery for Real Radio, and also includes advertising for the company's Family Day Ticket. 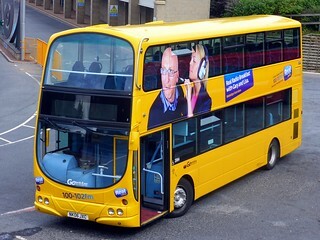 This vehicle has gained a promotional livery for Real Radio's Breakfast Show with Gary and Lisa. 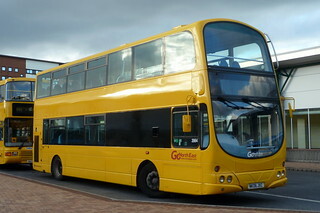 With the Festival of the North East event having finished for the year, this vehicle has been repainted into a plain yellow base livery. 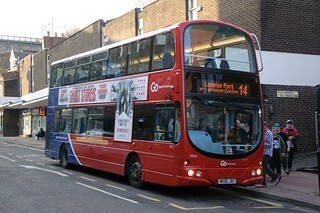 It is expected to gain another promotional livery. 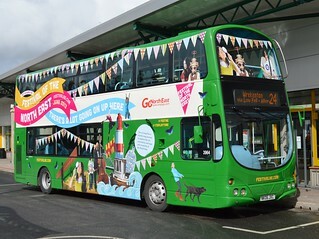 This vehicle has been repainted into a plain green base livery, later gaining promotional branding for the "Festival of the North East" event. 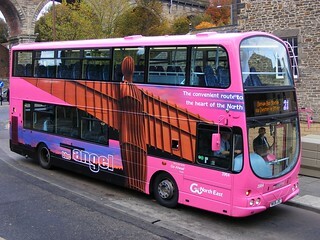 The Festival of the North East is a month long cultural celebration running throughout the whole of the region during June 2013. 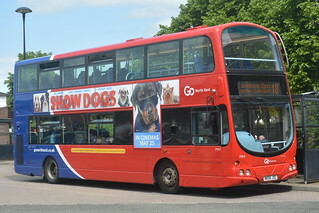 The festival embraces arts, sciences, creative industries and heritage and serves partly as a fanfare to the arrival in the region of the Lindisfarne Gospels in July 2013. 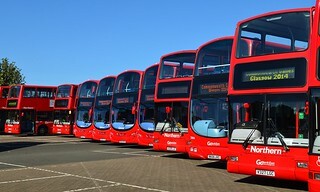 The event also brings together large scale cultural institutions, community organisations, creative businesses and individual artists and practitioners; playful, inventive and engaging – this diverse and ambitious festival will be one of the largest in the country. 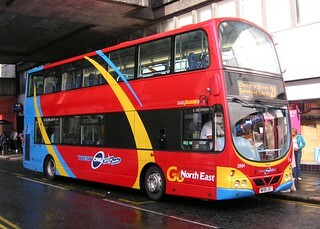 As a sponsor for the event, Go North East has specially branded this vehicle. 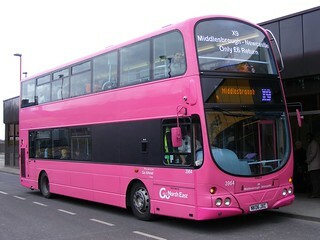 It will attend promotional events for the duration of the Festival of the North East event. 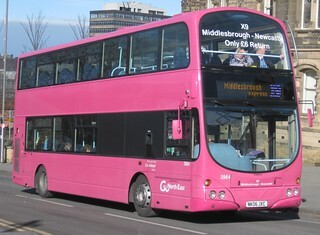 Ahead of the entry into service of new Wright Eclipse Gemini 2 bodied Volvo B9TL vehicles on "Tyne Tees Xpress" services X9/X10, this vehicle has been repainted into Go North East's corporate livery, with 'Northern' fleet names. 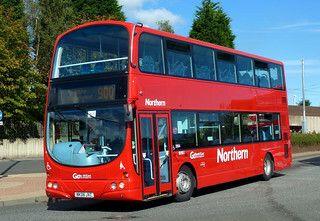 Prior to entering service, this vehicle has surrendered its original registration of NK55OLB and has gained registration mark NK06JXC.